Award Year: 1993 Dr. Weisman critically examines contemporary issues in women's health care in the U.S., enabling policymakers and providers to improve services within the context of health care reform. She examines and reformulates conceptions of equity and appropriateness regarding women's health care; considers the evidence for gender inequities that place women at a disadvantage in the health care system (financial and non-financial access, utilization patterns, treatment outcomes); and examines the evidence that women do not receive appropriate health care (definitions of primary care, recommended guidelines, satisfaction). She specifies the implications for health services research, design and management of health services, and formulation of a comprehensive women's health policy within the context of health care reform. Previous research and data are critically reviewed and synthesized, while selected new analyses are applied to formulate policy-relevant recommendations. Carol Weisman is the associate dean of faculty affairs at the Pennsylvania State University College of Medicine. She is also the director of the Central Pennsylvania Center of Excellence for Research on Pregnancy Outcomes. She holds a joint appointment in the department of health policy and administration in the College of Health and Human Development. 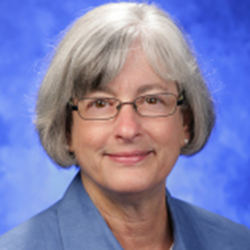 Previously, she was professor of health management and policy at the University of Michigan School of Public Health, where she was the founding director of the Interdepartmental Concentration in Reproductive and Women's Health, and professor of health policy and management at the Johns Hopkins School of Hygiene and Public Health. She is on the adjunct staff of RAND. Dr. Weisman is a sociologist and health services researcher with a principal interest in organizational, quality of care, and policy issues in women's health. Her research focuses on access and quality in women's primary and preventive care. Dr. Weisman received her B.A. from Wellesley College with a major in sociology and anthropology and her Ph.D. in social relations (sociology) from the Johns Hopkins University. Khoury, A.J., Weisman, C.S. Thinking about Women's Health: The Case for Gender Sensitivity. Women's Health Issues, 2002, 12(2): 61-5. Weisman, C.S. Advocating for Gender-Specific Health Care: A Historical Perspective. J of Gender Specific Medicine, 2000, 3(3): 22-4. Weisman, C.S. The Trends in Health Care Delivery for Women: Challenges for Medical Education. Academic Medicine, 2000, 75(11): 1107-13. Curbow, B., Khoury, A.J., Weisman, C.S. Provision of Mental Health Services in Women's Health Centers. Women's Health Issues, 1998, 4(1): 71-91. Weisman, C.S.ÊChanging Definitions of Women's Health: Implications for Health Care and Policy.ÊMaternal and Child Health Journal, 1997, 1(3): 179-89. Weisman, C.S.ÊWomen's Primary Care. Health Affairs, 1997, 16(3): 276-7. Weisman, C.S., Curbow, B., Khoury, A.J.ÊWomen's Health Centers and Managed Care.ÊWomen's Health Issues, 1996, 6(5): 255-63. Weisman, C.. Women's Health Care: Activist Traditions and Institutional Change. The Johns Hopkins University Press, 1998.